Tokyo: Asian stocks advanced on Monday as Wall Street rallied after a deal was announced to reopen the US government following a prolonged shutdown that had shaken investor sentiment. MSCI’s broadest index of Asia-Pacific shares outside Japan climbed 0.2 per cent. 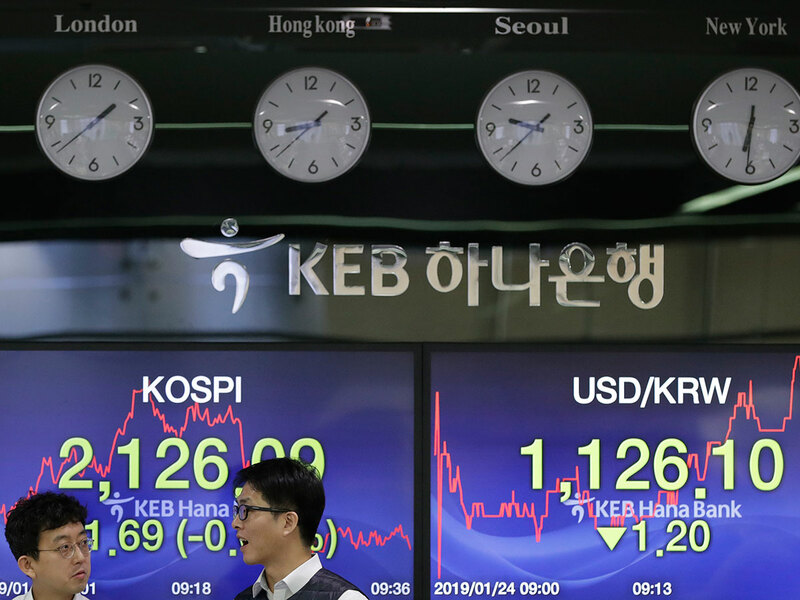 South Korea’s KOSPI edged up 0.2 per cent, New Zealand stocks were up a touch, while Japan’s Nikkei bucked the trends and eased 0.2 per cent. Australian financial markets were shut for their ‘Australia Day’ holiday. “The rise in the broader stock markets looks to keep going. The US government reopening is definitely a plus for market sentiment,” said Soichiro Monji, senior economist at Daiwa SB Investments. The single currency was 0.05 per cent higher at $1.1412 after gaining 0.9 per cent on Friday, paring the losses from earlier last week on dovish-sounding comments by European Central Bank President Mario Draghi. The benchmark 10-year Treasury yield was little changed at 2.754 per cent after popping up 4 basis points on Friday in the wake of surging US shares. US crude oil futures were down 0.55 per cent at $53.39 per barrel, losing some momentum after two sessions of gains. Oil prices rose towards the end of last week as political turmoil in Venezuela threatened to tighten crude supply, with the US signalling it may impose sanctions on exports from the South American nation.